Environmental regulators expanded on an announcement from last week that the state will begin sampling 400 sites across the state for six PFAS chemicals — including PFOA, PFOS, and PFNA — to see where the chemicals appear and in what concentrations. The chemicals have been used in products including firefighting foam, non-stick cookware, and stainproof textiles. The Department of Environmental protection will sample 360 public water sources and 40 other sites in more remote areas that will serve as controls. The department will focus its sampling efforts near sites that either used or manufactured PFAS, including airports, military bases, and manufacturing facilities. In the control group, state scientists will analyze half for groundwater levels and half for surface water. The information, he said, will be critical in developing a PFAS drinking water standard, also known as a maximum contaminant level or MCL, which the state has pledged to do in the absence of federal regulatory action. But Jill Florin of Upper Dublin said she’s disappointed that the state isn’t moving faster. 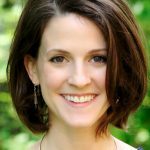 “The fact that [McDonnell] said that it’s going to take years to get an MCL is ridiculous when other states have stepped up and are in the process of getting MCLs immediately,” she said. 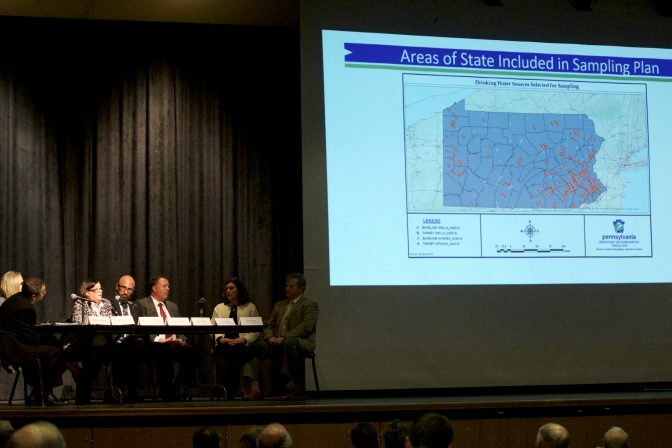 Southeastern Pennsylvania has been particularly hard hit by PFAS contamination because three former military bases there used PFAS-laced firefighting foam, which seeped into groundwater and contaminated drinking water supplies. “We are here tonight in southeastern Pennsylvania specifically because we know this area has been impacted like nowhere else in the commonwealth,” McDonnell said at the meeting at Abington Senior High School, which is less than 10 miles from the former bases in Horsham and Willow Grove. The lack of regulatory action at the state or federal level has also frustrated local utilities, who find themselves caught between concerned customers and an unenforceable federal health advisory. Aqua has been monitoring PFAS levels in its drinking water supplies since 2016 and has taken four systems offline. Two have treatment installed, a third will have treatment running in May, and a fourth has begun pilot project studying ion exchange as a potential treatment option. In addition, the company has added large amounts of activated carbon powder to water supplies at their Neshaminy treatment plant, whose water source receives contaminated water from the Willow Grove base. 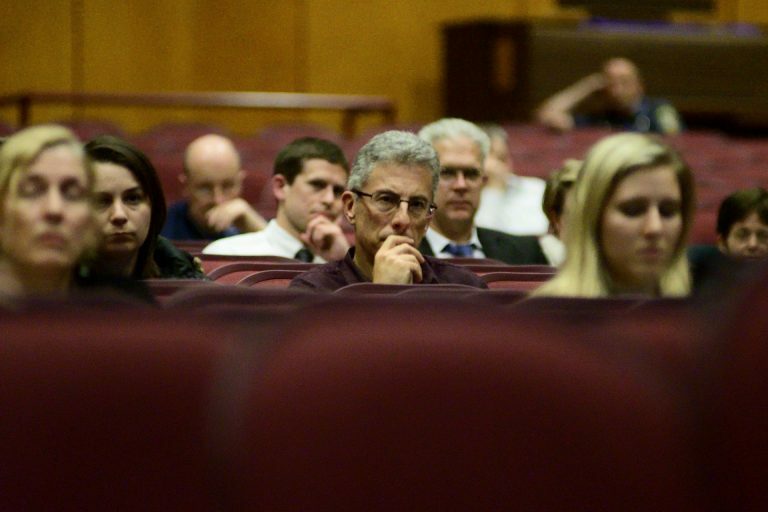 Many residents and local officials pointed fingers at the military for not doing enough to remediate the contamination and sticking them with the bill. 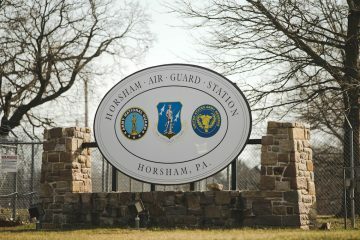 Bill Watkins, Horsham’s Township Manager, said what the community really wants is less talk from the PFAS Action Team and more action. 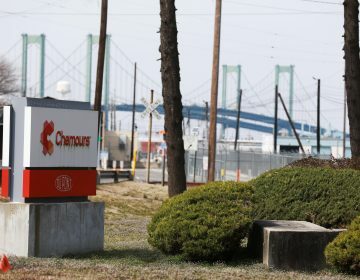 On Monday, the DEP said Chemours is currently using PFAS-replacement chemicals at the Chambers Works site, and is discharging the chemical into water and air. 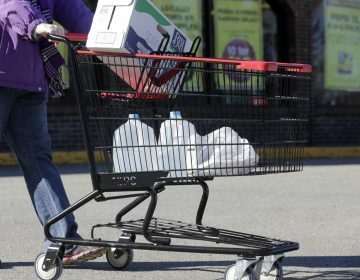 New Jersey scientists are accusing the federal government not considering many health risks posed by a group of chemicals that are designed to substitute PFAs. 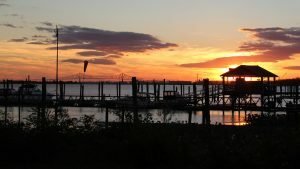 Some New Jersey environmental groups oppose the planned dumping of material from the former Willow Grove Naval Air Station.